Hot heading and cold heading are the two ways to form the head of a bolt. Each process has its own advantages, though there are a few important considerations to make when choosing one over another. Let’s take a look at both processes, how they are used, and what makes them different. 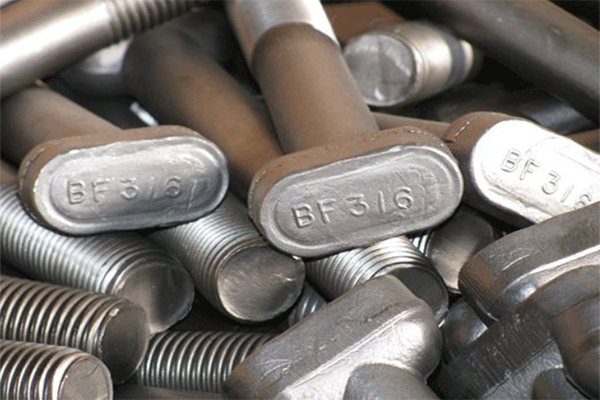 At Birmingham Fastener, hot headed bolts generally range from 3/8” diameter to 2” diameter. Any material grade we supply can be hot headed, including stainless steel. The process of hot heading a bolt involved heating round bar in a furnace, then forming the head of the bolt in a header (like a die form). Hot heading allows for better formability with less “die blows” on certain head styles. Another advantage to hot heading is that tooling cost is lower than cold head tooling. That said, there are some other points to consider before choosing to hot head your bolts. This process is both much slower and more costly than cold heading when it comes to large quantity orders in diameters under 1 1 /8”. Because of the time and money it takes, hot heading is better for low quantity orders and orders over 1 1/8” diameter. Birmingham Fastener cold heads bolts ranging in size from ½” diameter to 1 1/8” diameter. Most material grade we supply can be cold headed. As its name suggests, cold head forming is performed at room temperature. The round bar is shaped into a head by being squeezed between two die forms. The cold heading process allows for very tight dimensional specification to be achieved. It also allows for complex head shapes to be forged with multiple “die blows.” Cold heading is a very fast and very cost effective process. Keep in mind that while this is a better option for large quantity orders, tooling cost is very high. While hot heading and cold heading are similar processes, there are a few key differences your company needs to consider before purchasing. While cold heading is a much more timely and cost effective option, we can head a wider range and much larger diameter part through hot heading. There are two ways of creating threads on mechanical fasteners: rolling or cutting. 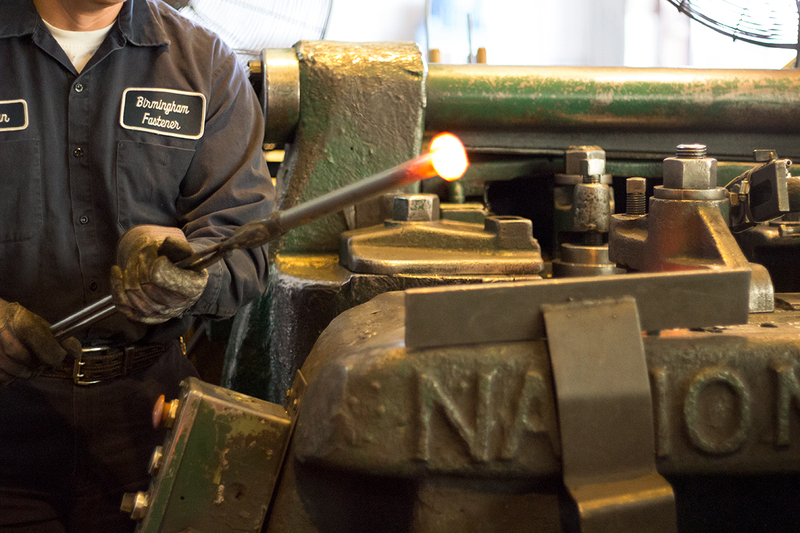 Sometimes our customers ask about the threading process – particularly which type of bolt threading is stronger. Though both processes yield similar results, there are a few differences in each process that cause differences in the products. Before we get into strength of the products, let’s go over the differences between rolled thread and cut thread bolts. The process of roll threading a bolt is a cold forming process using a set of hardened steel dies to form threads onto a bolt. The die protrudes into the outside diameter of the blank bolt to form threads onto the bolt. As the bolt is under high pressure, the steel grain flows in multiple directions, causing the bolt to be stronger, as it does not disturb the structural integrity of the steel. Rolled thread bolts are also smoother in installation and more resistant to damage due to them being hardened and compressed. Cut threading bolts involves severing the steel’s grain structure to produce threads. While rolled thread bolts offer some advantage over cut thread bolts in regards to strength and cost, cut threads can be manufactured to virtually all specifications, including larger diameter bolts. Birmingham Fastener has the capacity for thread cutting up to 4 inches in diameter. In the past, our customers have asked whether rolled thread bolts are weaker products due to their smaller bar diameter. A threaded bar breaks at its weakest point, which is in the root of the thread, and because the thread root diameter is smaller than the bar stock on cut or rolled thread products, the bar diameter is not relevant when considering tensile strength. What is relevant is the work that has been performed in the weakest point on the threaded product. For a cut thread bolt, no work has been done on the material. Metal removal is used to form the thread. For a rolled thread bolt, the threaded section is formed by metal movement during the cold forming process. This process is what makes the rolled threads stronger during a tensile test. 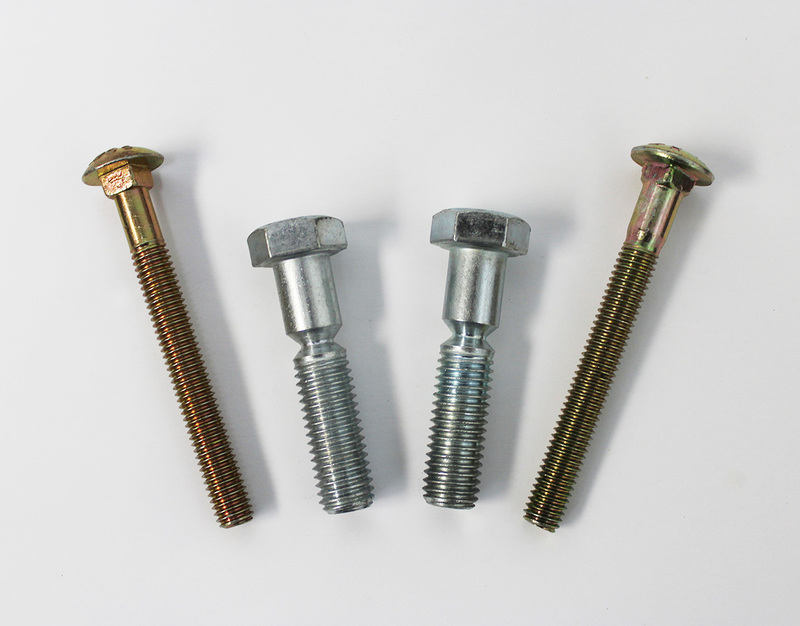 However, it is important to note that heat treated cut thread fasteners, such as our 1-1/2” A325 bolts, will perform at the same level as any rolled thread bolt, because the heat treatment will determine the strength of the bolt as opposed to the method of forming them. 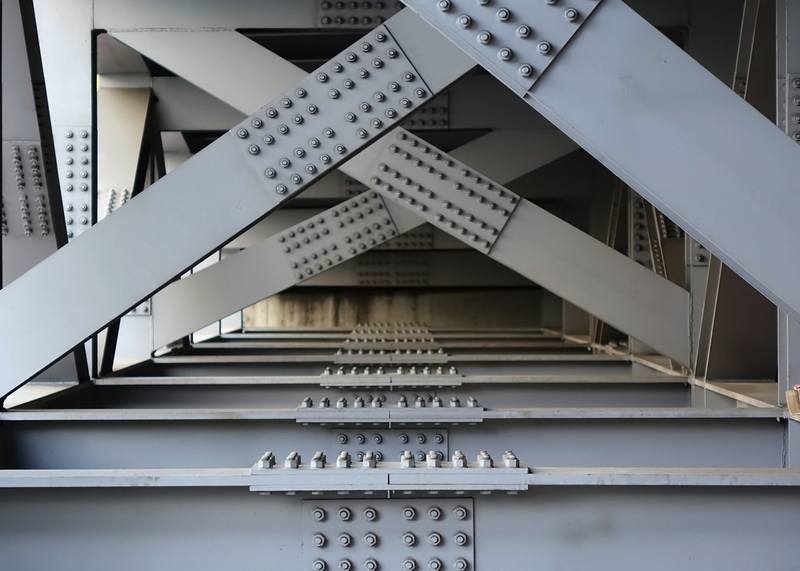 In 2015, the ASTM consolidated the standards for structural bolts. Prior to the change, there were separate standards for high strength bolts including A325, A325M, A490, A490M, F1852, and F2280. Because these all fall under the high-strength structural bolting umbrella, these were changed to grades under the F3125 standard. Therefore, the newer standard of F3125 includes both heavy hex structural bolts and “twist-off” tension control structural bolting assemblies (including the nut and washer). In addition to the standard consolidation, certain technical aspects of the fasteners were also updated. Minimum tensile strength is now separated into a 120 ksi strength class and a 150 ksi strength class across the standard, and tension control bolts now have a maximum 1-1/4” diameter than the previous 1-1/8” diameter. Though the standard has changed to F3125, a few basic things remain the same. Bolt head markings will remain as they were (see our bolt head markings chart), and Type 1 and Type 3 remain the same way to distinguish the makeup of the steel. Let’s go over the two types of F3125 bolts and their differences. 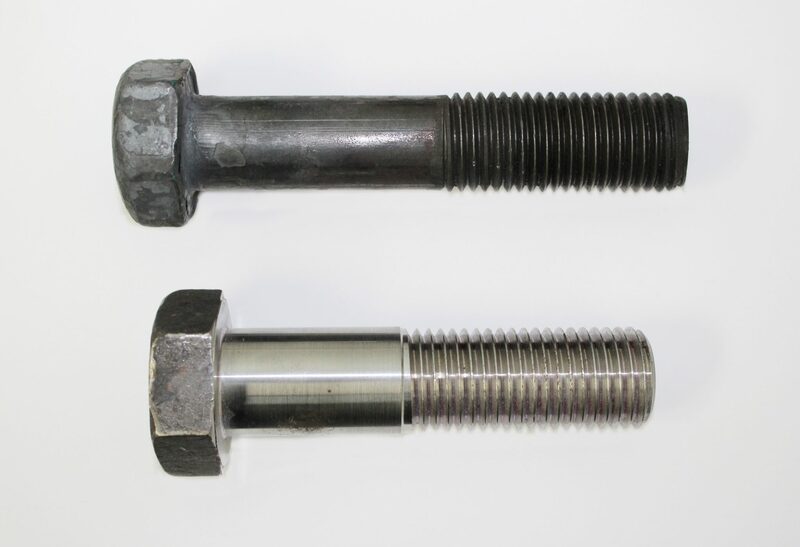 As you may remember in our blog on the difference between A325 and A490, Heavy hex bolts are the industry standard for structural bolting applications. Heavy hex bolts have a larger bearing surface to distribute the load. These structural bolts have a shorter thread length and a longer shank length. In structural bolting applications, this allows the bolt's threads to not be in the shear plane (where the two plates meet up). Generally, you don't want threads to be in the shear plane, because it can reduce the strength of the connections. Tension control (TC) bolts are pre-assembled fasteners with a rounded head and a splined end that shears off when the nut is properly torqued and the manufacturer's desired torque value is achieved. A great advantage to TC bolts is simpler installation and the amount of labor it saves. The installation tool is called a shear wrench, which is a lightweight tool that is quick, can be used by a single worker, and reduces fatigue. Birmingham Fastener distributes tension control bolts from 5/8” diameter to 1 1/4” diameter.